Footage of a mysterious ‘sea creature’ lurking in a reservoir in China has scientists baffled as speculation grows that the Loch Ness monster may be on vacation in the region. 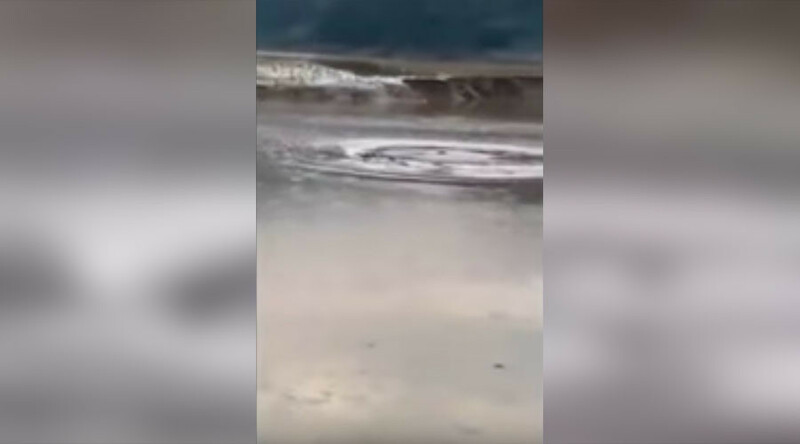 The bizarre footage was captured near Qujing City, Luoping County in the Yunnan province after severe flooding. Locals reportedly flocked to the area after news of a possible marine monster went viral. The mobile phone footage shows a mysterious ‘creature’ apparently pop its head above the water before quickly vanishing. Deputy researcher at Kunming Institute of Zoology, Rao Dingqi, reviewed the clip several times. He said it’s difficult to determine what the “monster” is but suggested it’s likely to be a living thing as it surfaced twice. He ruled out large livestock as a possibility but insisted the creature was not small.